This incredibly popular, lightweight, USA-made scale offers a wide range of versatility. It can be used with wheelchairs, straight-legged chairs or as a stand-on scale, and its sloped ramps offer versatility by allowing entry from either side. 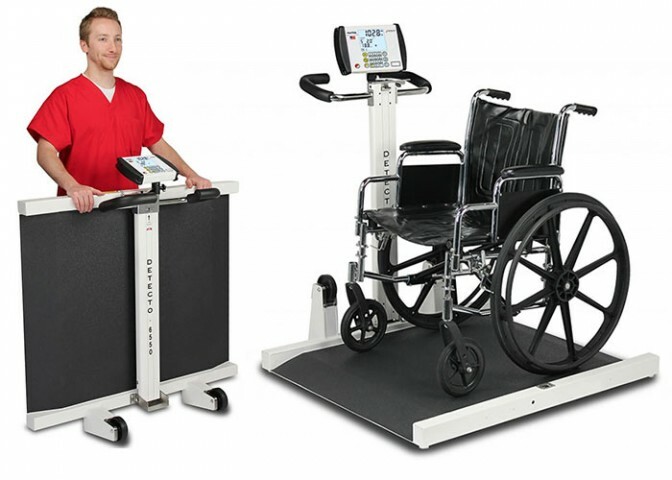 The 6550′s digital weight indicator is the industry’s most advanced, featuring serial, USB and optional wired and Wi-FI Ethernet output, BMI calculation, yellow “quick keys” for basic weighing, 350-degree rotating mounting bracket for viewing in all angles, and an easy-to-read blue LCD display.